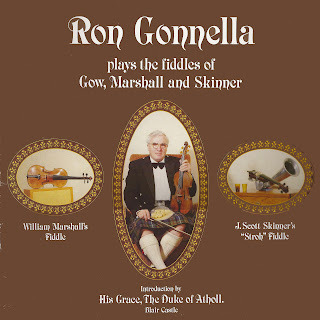 An intriguing concept, this: Ron Gonnella plays the compositions of Niel Gow and his family on Gow's own fiddle, the compositions of William Marshall on his own fiddle, and James Scott Skinner compositions on one of the fiddles belonging to the 'Strathspey King'. 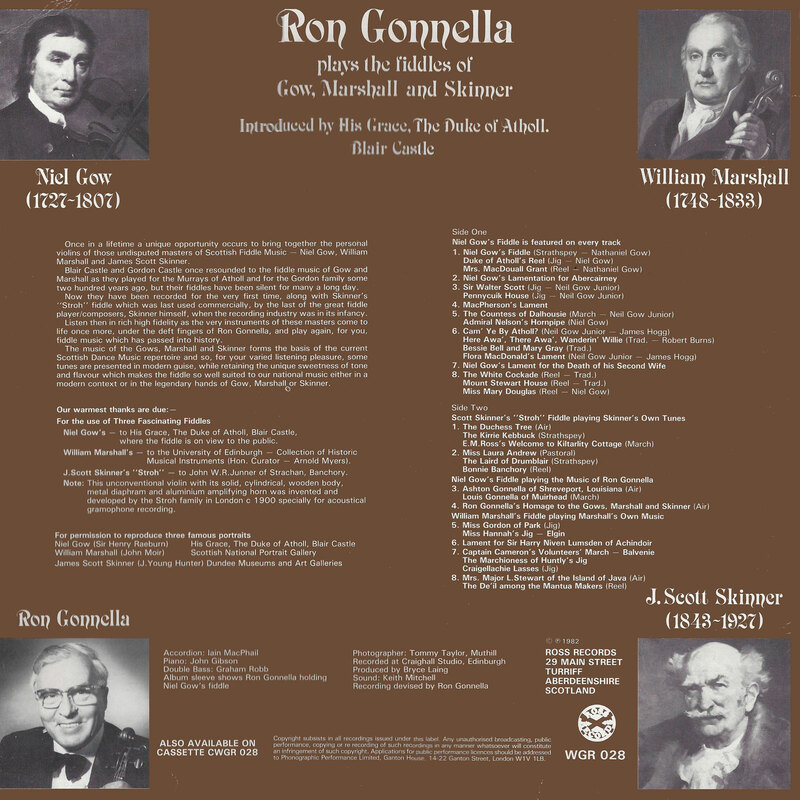 The music is first class - Gonnella in his prime - and I believe this is a rather special album. 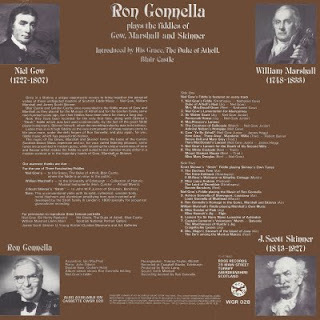 More vintage Gonnella. To me the Strad angle is unimportant - the music is what it's about. 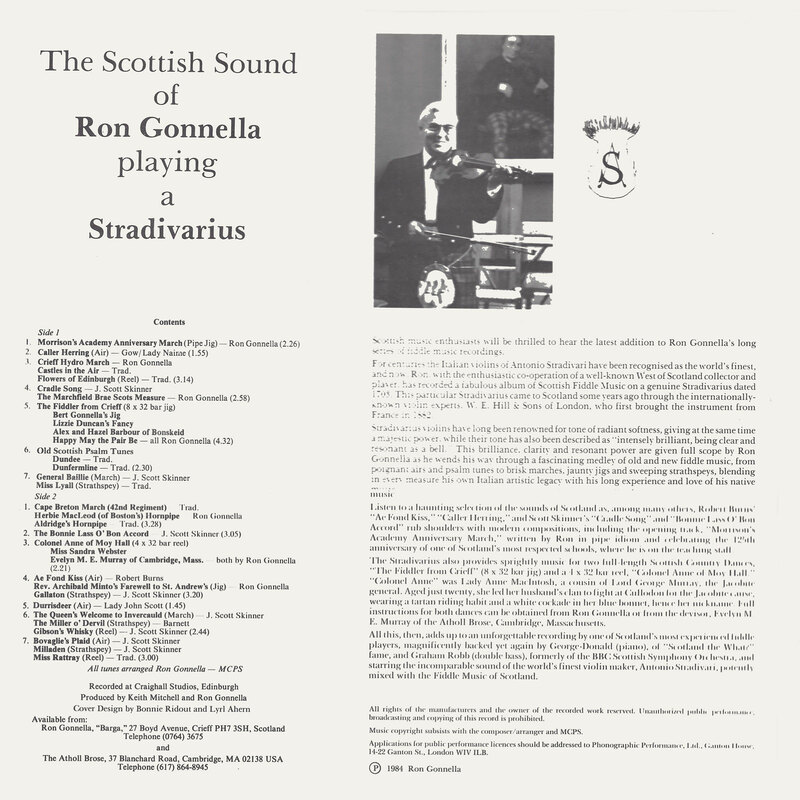 I'm always interested in Strad played by excellent players. 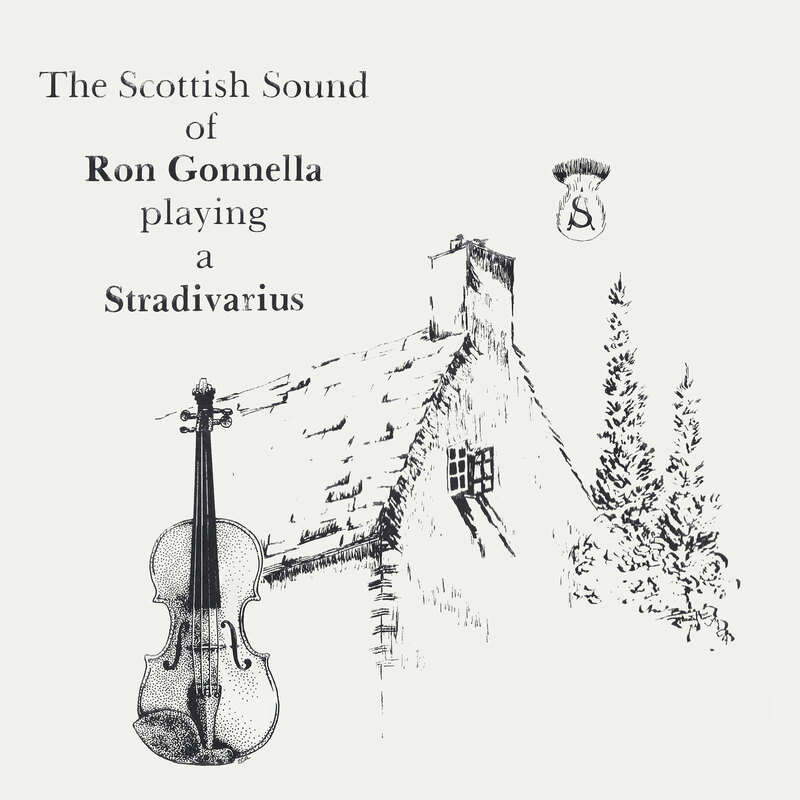 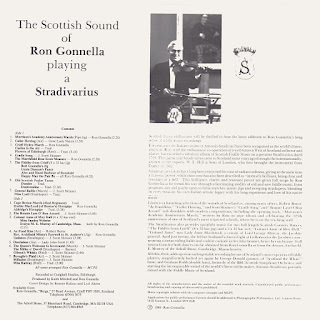 Ron Gonella is wonderful, and I had never heard of him doing a Stradivarius album. 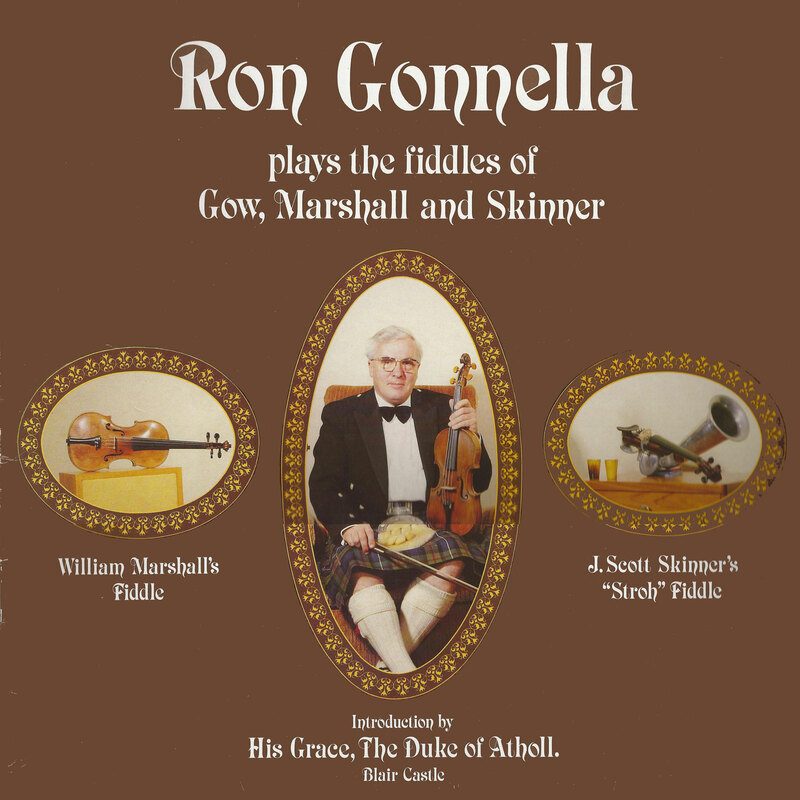 Is there a small chance of this one coming back?